Om utflykter och dykning på Fernando de Noronha. 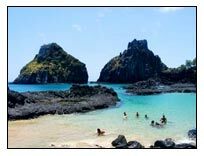 Pick up at hotel on Fernando de Noronha transfer to boat with guide. 2 tank dives including weightbelt (regulator and other equipment can be rented). After diving return transfer from boat to hotel. 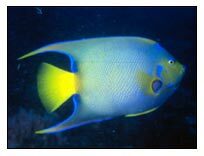 Atlantis Divers is the company localy used for diving in Fernando de Noronha with the best structure on the island. English, French, German and Spanish spoken. Embark on a diving boat, which sails to one of the smaller islands near the port. Elementary instructions will be given by a professional diving instructor. Each person diving, will dive with an instructor and the dive takes about 20-30 minutes. 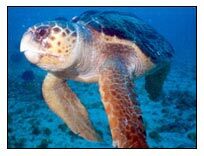 Admire the underwater world with its corals, colourful fish, lobsters, sponges, turtles, sharks, stingrays and much more. Return to the boat and sail back. Included: 01 tank, complete diving equipment, transfers, boat and instructor. Transfer from the Pousada to the harbour. Boat tour around some small islands toward the achipelago of Fernando de Noronha such as Ilha da rata, Ilha Sela Ginete, Ilha Rasa, Ilha do Cuscuz, etc. 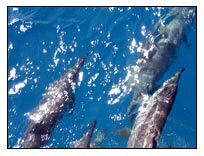 Passing in front of the Dolphin's Bay - home of hundreds of dolphins living freely. It is forbidden by the Environmental Dept to enter the bay, but it is possible to watch them spinning around and passing by the visitor's boat. Stop by the Sancho's Bay for snorkeling and swimming. The buggy will pick-up at the Pousada and take to the main beaches, such as Praia da Conceição - surfer's place, Baía dos Porcos - with colored fishes, Baía do Sancho, Praia do Leão - where the marine turtles pond they eggs on the beach, Praia do Atalaia- ideal for snorkeling in the colored reefs, the Hotel Esmeralda which where built by the American during the W.W. II as the island was used as an American Base.